The Malta High Mountain Road (Malta Hochalmstrasse) is a toll road that winds its way up the valley to a height of almost 2000m until it reaches Austria’s tallest dam the Kolnbrein. I am including details of three of the falls we viewed from the road. 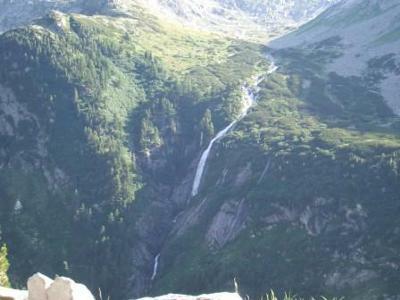 The Malteiner Wasserspiele (water fountains) is a series of waterfalls the largest of which is the 300m Melnikfall which cascades down in several stages. 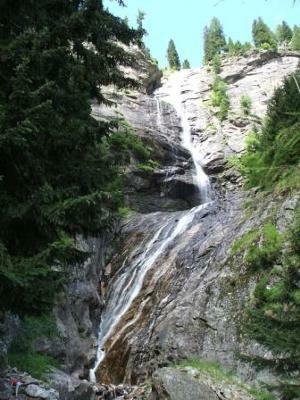 There are good trails that allow you to explore these falls and get very close to them. Further along the road is the 150m Maralmbachfall. It is a bit different in that the top fall drops at a different angle to the lower one. It did not have a lot of water going over it in July. It is set just a short walk from the road where you are at its base. The final fall is viewed across the valley from the road and plunges into the lower storage area of the reservoir. 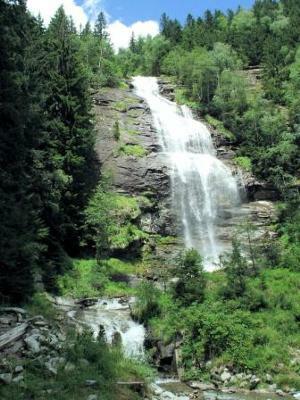 It is a sizable fall and has had a good flow of water both years we have viewed it. I do not know if it is possible to get any closer to it and I have been unable to find out if it has a name.